EEI Subject Matter Experts (SME) specialize in providing skilled field and technical services to support your company’s natural gas pipeline systems, including transmission, distribution, and storage. Our SMEs can provide stand-alone services, augment existing workforces, or work with you to review current work practices and recommend process improvements improve safety, efficiency and reliability. Our SMEs also provide support for operations maintenance, technical and construction inspections and stand-by, audits, training and operator qualification, certified instructors, field support, and process improvements. 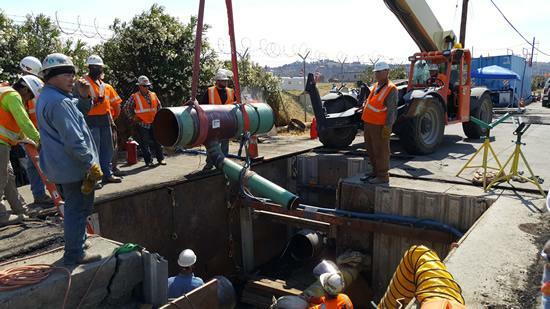 EEI has provided large scale inspection and support services for pipeline projects from California to North Carolina. Construction and Operation: EEI SMEs have extensive experience in the construction and operation of all facilities and equipment associated with the production, storage, transmission and distribution of natural gas. EEI has extensive experience overseeing and providing inspection services for gas construction projects along with reviewing and auditing construction and operation practices for safety, compliance and best practices. Safety, reliability and compliance: EEI SMEs actively participate in national and international organizations responsible for the development of natural gas safety, reliability, compliance and facilities integrity regulations. As such EEI is actively working clients to develop and implement compliance and integrity plans and to assure that existing client plans are compliant and assure the safe and reliable delivery of natural gas to the end user. Work practices and procedures: EEI works with clients to review and audit work procedures and practices for construction, system operation, maintenance, and control room management to assure safe, reliable and efficient system construction and operation while providing compliance with operator qualification and work place safety regulations. EEI SMEs are uniquely qualified and provide technical support to work teams developing and updating operating standards, procedures, and integrity management plans. Cathodic protection (CP) surveys and troubleshooting: EEI SMEs provide technical support to survey and map cathodic protection areas, determine and evaluate the effectiveness and compliance of installed cathodic protection systems, and trouble shoot systems to return them to proper operation. Leak survey support: EEI SMEs provide technical support for leak survey and review and evaluate field procedures for accuracy, efficiency and compliance. Controls & Instrumentation troubleshooting: EEI SMEs install, maintain, and trouble shoot control and instrumentation systems to assure safe, reliable and regulatory compliant system operations. SCADA: EEI SMEs install, maintain, and trouble shoot supervisory control and data acquisition systems tailored specifically to meet the client’s unique operational and functional requirements. SCADA system experience includes everything from individual unit control to complete system control. Gas regulation (pressure control devices): EEI SMEs install, review/audit, functionally test, and train operating personnel to perform work on natural gas pressure control devices and systems. Conduct on-site field audits: Review field operations and recommend best practices to improve safety, reliability, efficiency, and compliance. Conduct best practice analysis: EEI SMEs perform on-site field review of construction and operating practices and conduct best practices benchmarking (Domestic and international) studies and reviews. Conduct job pre-audits and post-audits: Provide verification and validation of work requests, equipment, skill and material needs. Provide audits and reviews to verify and validate work, as-builts, and records, and provide recommendations to correct gaps found during reviews and audits. Provide training and employee skills evaluations for operator qualification. 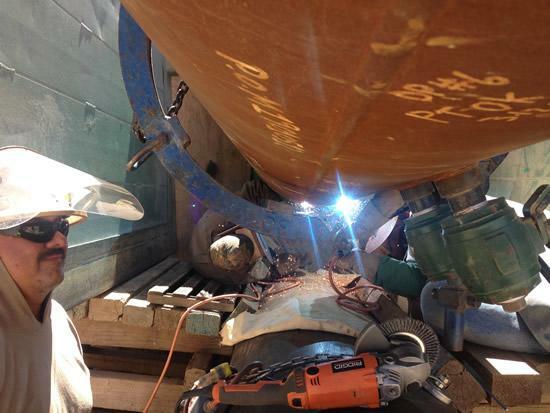 Examples of specific areas reviewed include: Cathodic Protection (CP), leak survey, gas compression, M&C, and welding. In addition, EEI provides welding instruction by certified welding instructors and technicians and field support for training and OQ at your facility. Provide technicians and field support for CP, M&C, leak survey, compressor station and integrity management. Assist in processing and reviewing work orders and construction drawings, and paving requests. Verify material availability and assist in obtaining/expediting material. Coordinate and optimize/prioritize maintenance schedules and work plans to optimize resource utilization and assuring compliance.